Two students in the Newhouse School’s military visual journalism program have received top honors from the U.S. Department of Defense as part of the Visual Information Awards program. 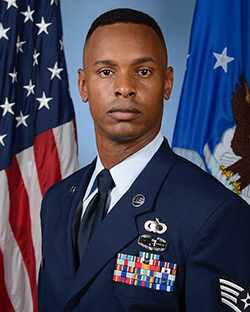 Air Force Staff Sgt. Kenny Holston was selected as the 2015 Military Photographer of the Year. Holston, a native of San Antonio with 10 years of experience in photojournalism, also won first place in the news, combat documentation (training) and multimedia categories, and three honorable mentions in various other categories. A collection of Holston’s winning photos is available on Flickr. Marine Sgt. 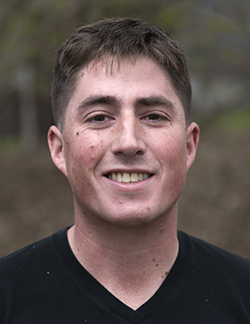 Matthew Callahan was selected as the 2015 Military Videographer of the Year. His winning pieces included “Marines and their Dogs” and “Jungle Warfare Training Center.” Callahan also won first place and an honorable mention in the documentary category, first place in the video feature category and third place in the field production category. In addition, he placed first in the illustrative photography category of Military Photographer of the Year competition for a single image in his photo essay entitled “Galactic Warfighters.” He also received two honorable mentions in the combat documentation (training) category and an honorable mention in the portrait category for Military Photographer of the Year. Callahan’s portfolio is available online. He hails from Pembroke, Mass. The Department of Defense Military Photographer/Videographer of the Year program is designed to recognize, reward and promote excellence among military photojournalists for their achievements in furthering the objectives of military photojournalism as a command information and documentation medium.